Fans have been demanding a Knights of the Old Republic movie ever since the first role-playing video game was launched in 2003. Many believe that Game of Thrones creators David Benioff and D.B. Weiss are building a new trilogy around this bygone era in the Star Wars universe. Disney and Lucasfilm didn't confirm that at Star Wars Celebration this past weekend. But big boss Kathleen Kennedy was on hand, and did confirm that a Knights of the Old Republic project is definitely in the works. "You know, we talk about that all the time. Yes, we are developing something to look at. Right now I have no idea where things might fall, but we have to be careful that there is a cadence to Star Wars that doesn't start to feel like too much. We don't have a crystal ball, you know. We tried a little bit with Solo [A Star Wars Story] to see if we could do two movies a year and whether or not there was really an opportunity for that and we felt that's not going to work so we backed off that a little bit. But it doesn't mean we don't think about lots of different stories because that's the exciting thing about this universe." The question now becomes, is this a TV show or a Movie trilogy? At the beginning of the interview, Kathleen Kennedy points out that a lot of the characters we've come to know and love throughout the course of this 9 movie saga will be heading to Disney+ streaming. She has also said that her team is currently planning out the next decade of movies, with Rian Johnson collaborating alongside the Game of Thrones guys. So we're not sure what direction this will all take at the end of the day. 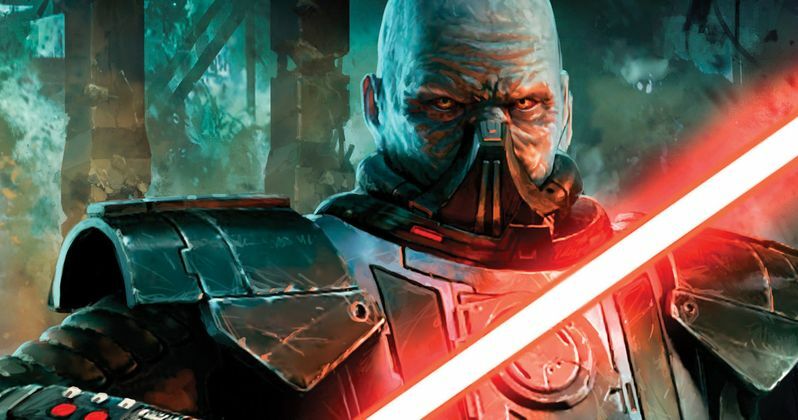 Knights of the Old Republic could be the next trilogy hitting theater screens after The Rise of Skywalker, which closes out the main series featuring Luke and Leia at the forefront. Disney and Lucasfilm were planning a series of standalone movies, which was kicked off by Rogue One and followed by Solo. The first did well, though Han and Chewie's spin-off faltered and cost the company some big bucks at the box office. Now, Lucasfilm seems laser focused on the Benioff and Weiss trilogy, which will still presumably be separate from the new Rian Johnson trilogy, though they are all three working in tandem. So far, no new movies have been confirmed after The Rise of Skywalker debuts in theaters this Christmas. The first season of The Mandalorian will premiere the month before, when Disney+ launches on November 12. The Knights of the Old Republic video game is not yet considered canon within the Disney relaunch of the Star Wars brand. The story takes place in the same galaxy, only thousands of years before Luke Skywalker set out to become a Jedi knight. There is a rumor that the Benioff and Weiss movie will shrink the time frame down to just a couple hundred years. Kathleen Kennedy didn't want to comment on any of those specifics, though, leaving this Knights of the Old Republic project a mystery. It is expected that fans of this Star Wars era will only see a loose interpretation of events as they have already played out, with the project serving as a reboot for the intended title. You can check out the interview from MTV in the tweet below.